Eucalyptus is a family of flowering evergreen trees with more than 700 species native to Australia. There are only 15 species that naturally occur outside Australia. It’s a big family with beautiful trees, with a lot of variety in colors and shapes. Eucalyptus trees can range from 33ft to over 200 ft in height. Many of the species have the characteristic glossy leaves covered with an oily shine. During the gold rush in California, around 1850, the trees were introduced by railroad companies. They planted thousands of trees, but in the end, the trees were unusable. The fast-growing Eucalyptus was not suitable for the use of railways. The Eucalyptus is well-known as food for Koala bears, the diet of these animals consists mainly the leaves. But there is more typical Australian about this tree: this wood only is used for the making of didgeridoos. The name Eucalyptus is coming from the Greek words ‘eu’ (meaning well) and ‘kalyptos’ (meaning covered). This name is probably a reference to the flower bud, which is covered by the leaves of the tree. For the Aboriginals, Eucalyptus is a sacred tree. It got the nickname Fever tree., because they use the bark and resin of the trees by treating fever and problems with the respiratory tract. 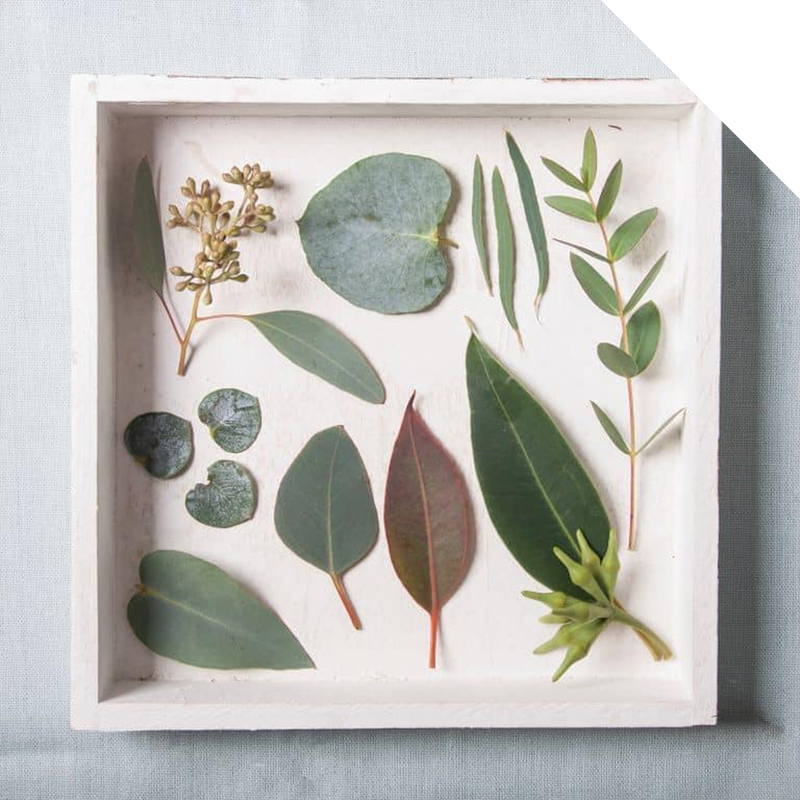 The leaves have a purifying effect, and negative energies disappear when you burn a Eucalyptus leaf. Insects, especially flies, don’t like the smell of Eucalyptus. The same smell is very popular and often used in wellness and hammam products. In the floral industry, Eucalyptus is one of the most popular foliage that is used by florists. The reason for this popularity is the delicious smell and beautiful colors. Most species have a silver-blue to gray-green color; this color palette fits perfectly in nowadays home decorating trends. It’s also possible to receive colored varieties, for example brown-yellow leaves in autumn and red-orange in winter. Eucalyptus is year-round available and through the coloring seasonal usable. There are a lot of varieties available, the most popular ones are Baby Blue (Spiral), Cinera, Parvifolia, and Nicholii. 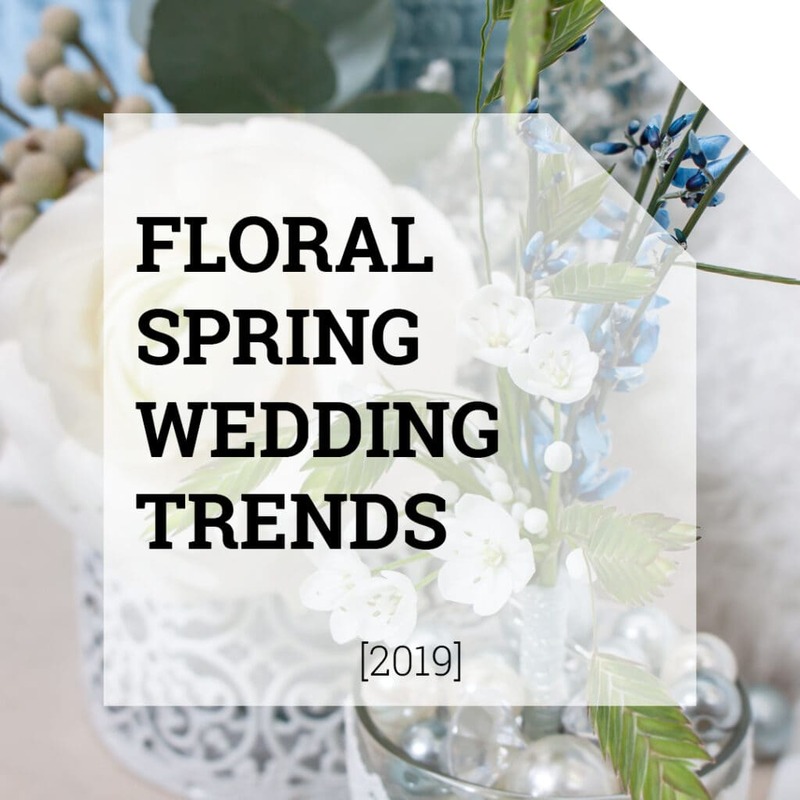 Because of all the different types, there are a lot of options in bouquets and floral arrangements. It’s also a very popular product at weddings, the leaves are scoring high on the romance ladder. 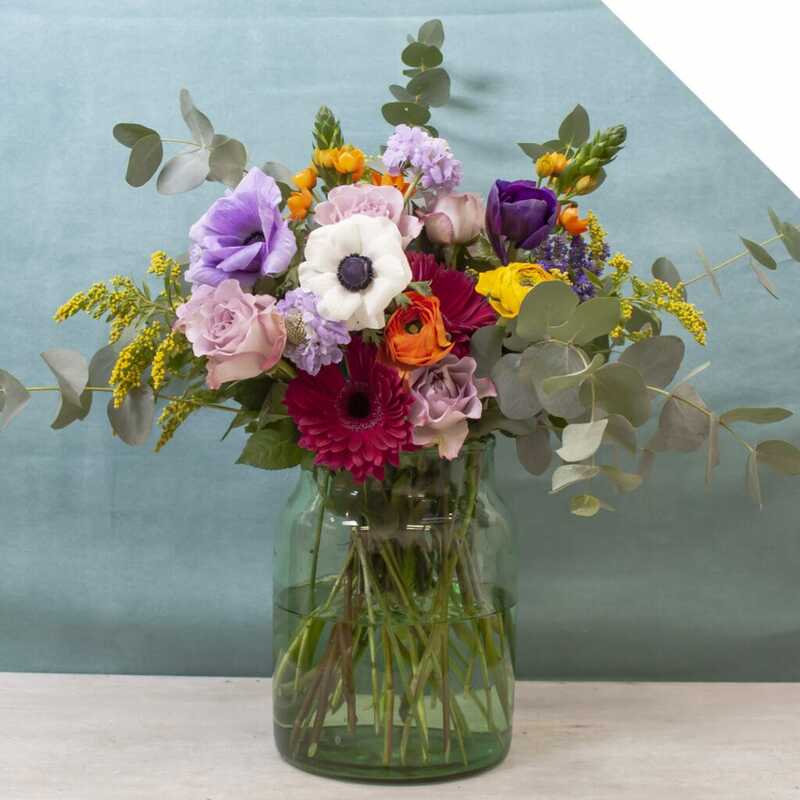 Eucalyptus is easy to combine in every type of bouquet. Check the leaves when you receive them. Cut the stems with a sharp knife and remove excess leaves. Make sure there is no leaf in the water. Use clean water and a clean bucket with a conditioner. 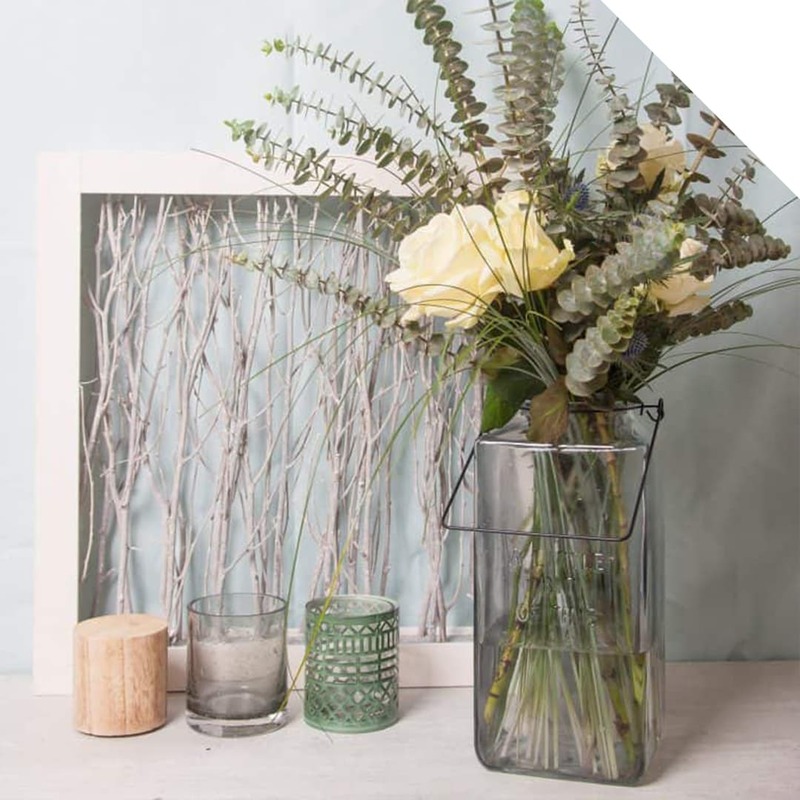 Eucalyptus has an excellent vase life, easily lasting more than 2- 3 weeks. 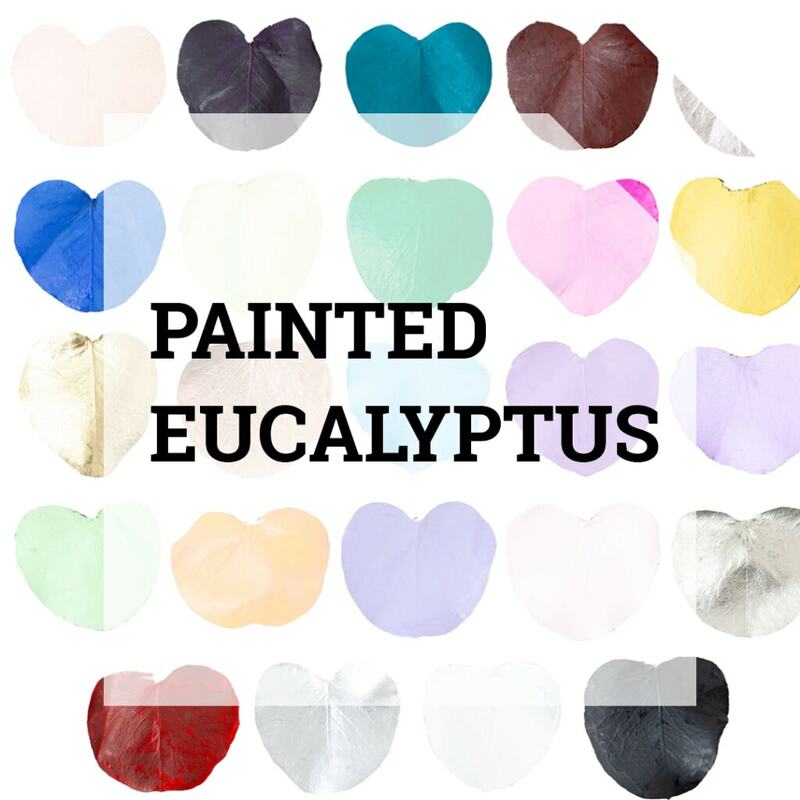 Painted Eucalyptus: A Color Party for Floral Designers!